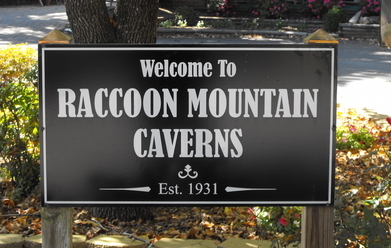 Welcome to Raccoon Mountain Caverns! TripAdvisor's #1 'Thing To Do' in Chattanooga, TN! Open year round, rain or shine! Welcome to the Raccoon Mountain Wild Cave site and the home of the #1 Wild Cave Adventures in the South! Raccoon Mountain Caverns is located just outside of Chattanooga, Tennessee and has been open to the public since 1931. It is a natural limestone cavern that has been nationally recognized as being one of America’s finest caves. It is noted for its incredible variety of passageways, large waterfalls, diverse formations, abundant fossils, and spectacular scenery. 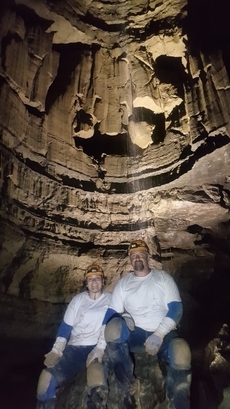 Wild Cave Expeditions are specialty tours that are designed to permit you to explore the vast inner portions of the cave system in the company of a skilled guide. The Wild Cave portion of our cavern does not have electric lights and is presented in its natural state. We take caving very seriously and emphasis is placed upon safety, ecology, and proper caving technique. Not surprisingly, our expeditions are regarded by many as being the most challenging and rigorous expeditions in this part of the country. Participants on our guided tours are required to wear helmets, lights, pads, and gloves, all of which are provided for your use. 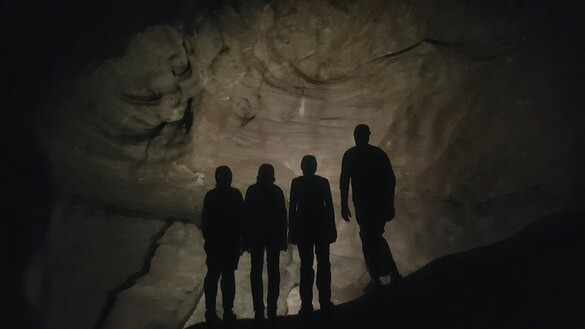 You will experience the challenge of a vast network of underground chambers, canyons, and tunnels requiring you to walk, crawl, and climb over, under, and through a rugged maze of varying rock formations. In the process, you will get dirty and your tour will be an exciting and unforgettable adventure with lasting memories. If you have comments or questions about our cave or our Wild Cave Expeditions, or simply need more information and want to contact us, please visit the Contact Us page. 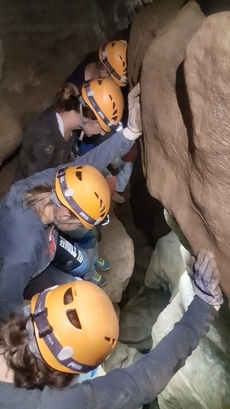 We hope you come caving with us! This site is dedicated specifically to our Wild Cave Expeditions. We also offer guided walking tours that are suitable for all ages and skill levels. Please visit our main site raccoonmountain.com for information on walking tours, gem panning, and camping at Raccoon Mountain!